The 28th Annual Taste of Vail is April 3-6, 2019. It is considered one of the nation’s premier food and wine festivals, however, that’s not the reason you should go. Here’s why you should attend the Taste of Vail this year. You get to pick and choose what to do – it’s like a Pick Your Own Adventure Game for foodies and wine lovers. Of course, you can buy the Signature Four Pass, which grants you entrance to the four signature events; Debut of Rosé, The American Lamb Cook-off, The Mountain Top Picnic and The Grand Tasting. Or you can simply cherry-pick the events you’d like to attend. See the full schedule and start planning your Taste of Vail adventure today. 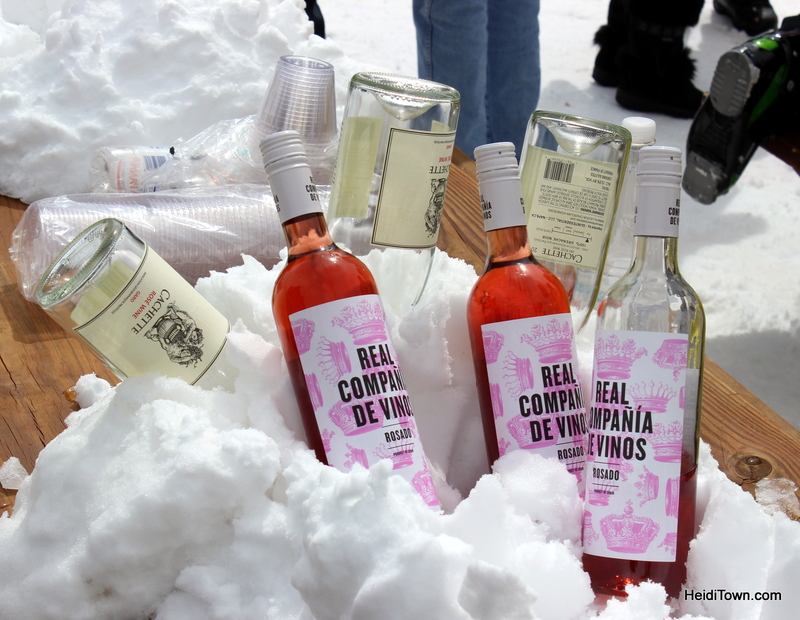 Wine on ice at the Mountain Top Picnic at the Taste of Vail. In addition to the four signature events that will tickle your taste buds, there are a variety of seminars to attend. You can learn about various types of wines or wine regions, or join in an in-depth discussion about the wine industry. Nearly 50 wineries are going to be represented at Taste of Vail this year and it gets better (if that’s even possible). One thing that sets this event apart from others is that you literally rub shoulder with some of this country’s top winemakers. If this sound intimidating, it isn’t. When I attended in 2015, I found every winemaker to be approachable and more than willing to chat about their wine. These folks are not wine snobs, they are wine lovers and there’s a big difference between the two. I found that the best place to shoot the breeze with winemakers was at The Mountain Top Picnic, my favorite event at the Taste of Vail. 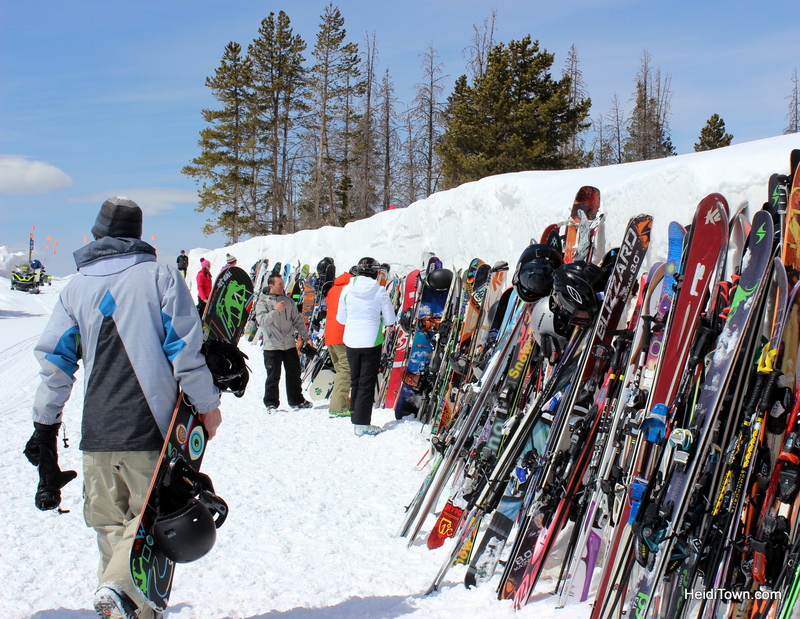 Skis lined up outside the Mountain Top Picnic at the Taste of Vail. With more than 50 wineries bringing all their favorites to Vail, the town becomes an ocean of wine during this festival. I triple dog dare you to try to taste them all. Vail is a foodie’s delight and you won’t find a bad meal in this town. More than 30 of Vail’s restaurant participate in the Taste of Vail and that means that a delicious morsel is always just a food station away. 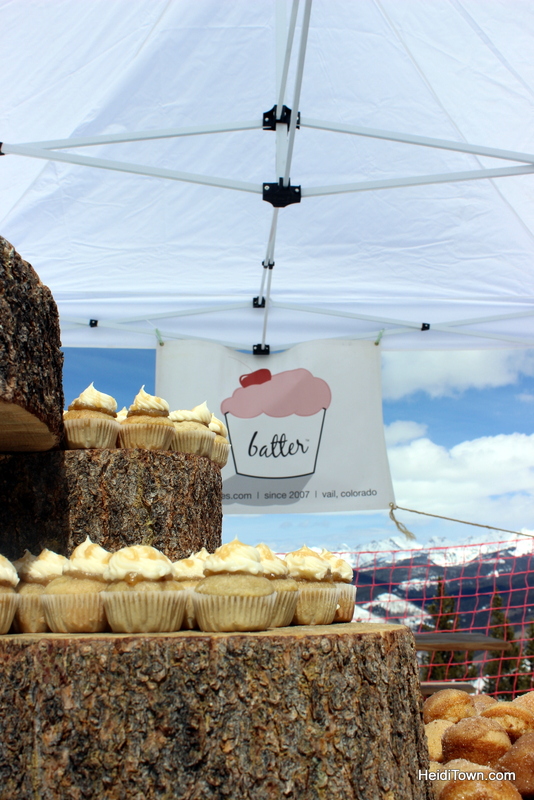 Cupcakes at the Mountain Top Picnic at the Taste of Vail. Perhaps the sixth reason would be that the Taste of Vail is in Vail and this place rocks. While best known for skiing, Vail has an amazing food scene and makes a great weekend getaway even if you aren’t a skier. 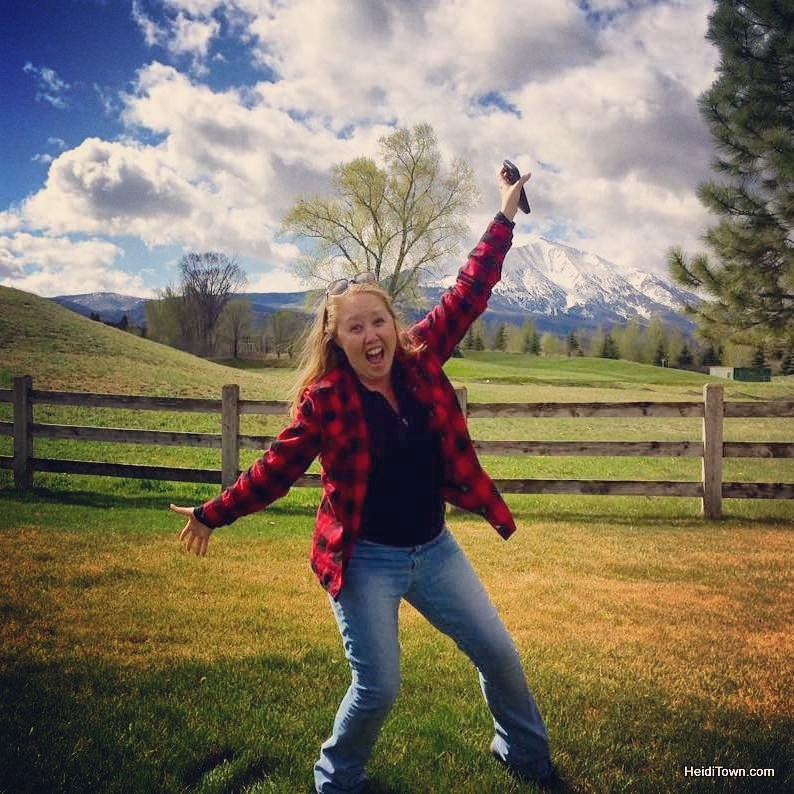 Be sure to read my post, “Things to do in Vail when you’re not skiing“ before you head up. You're invited to HeidiTown Fest 2015!